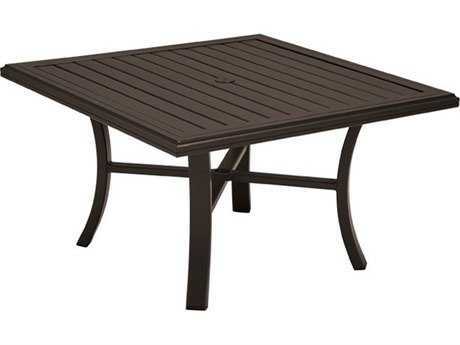 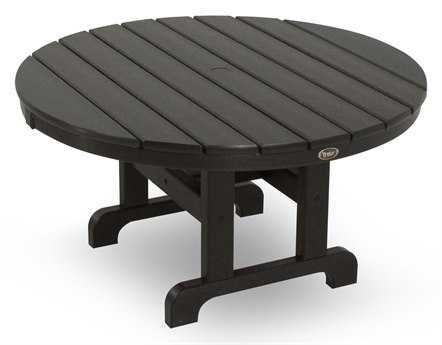 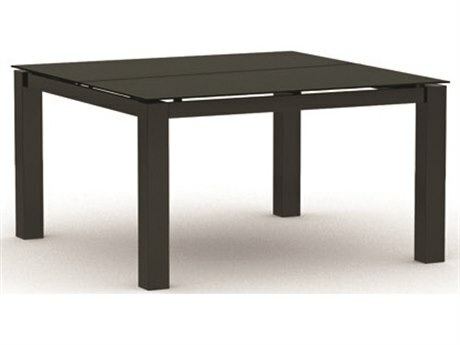 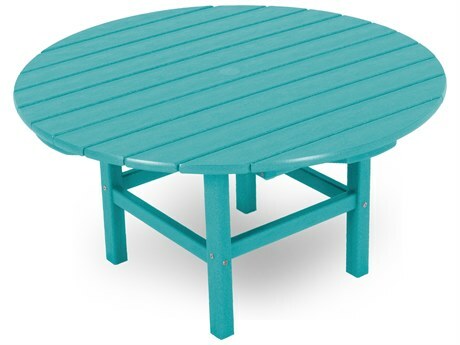 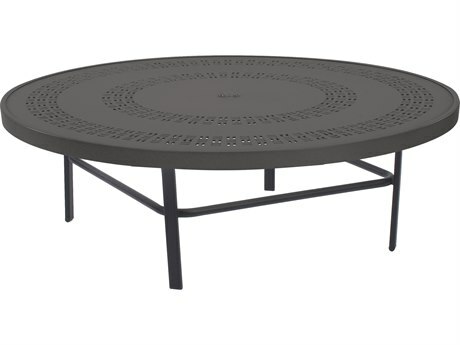 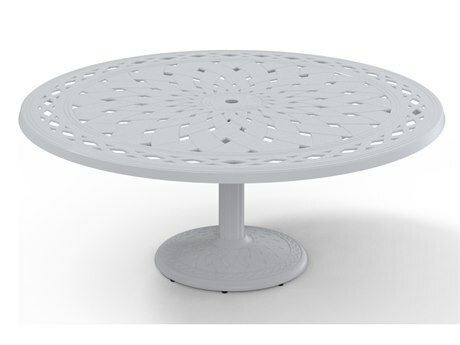 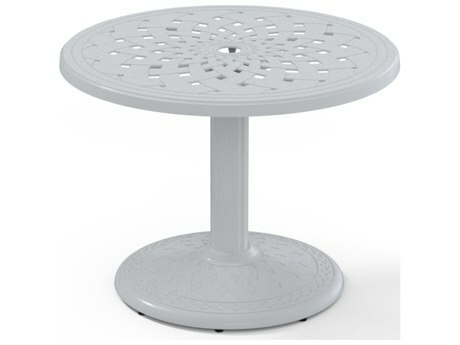 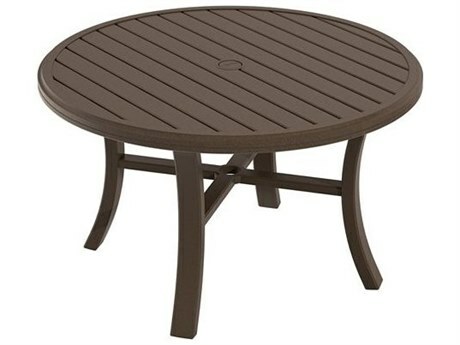 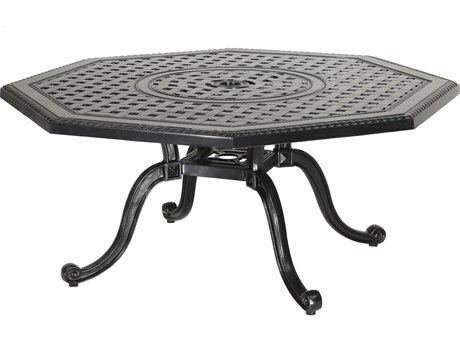 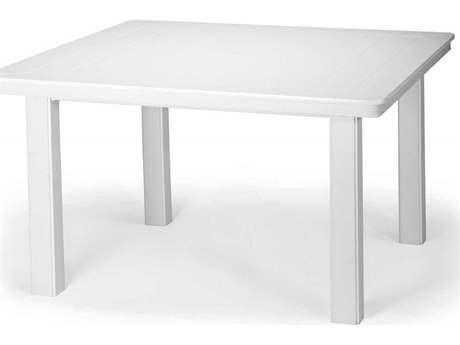 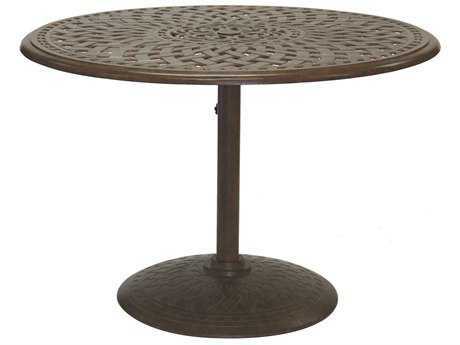 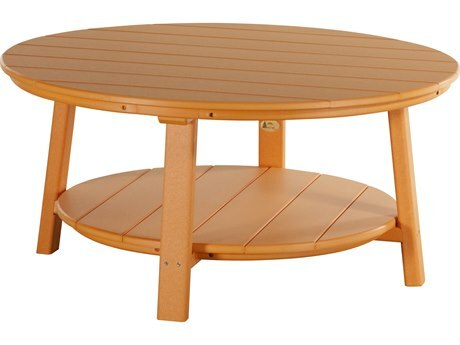 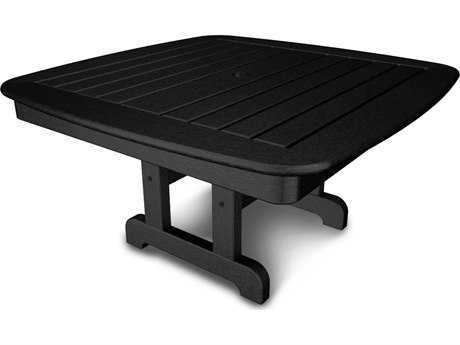 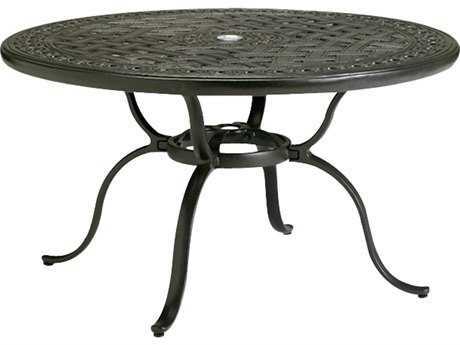 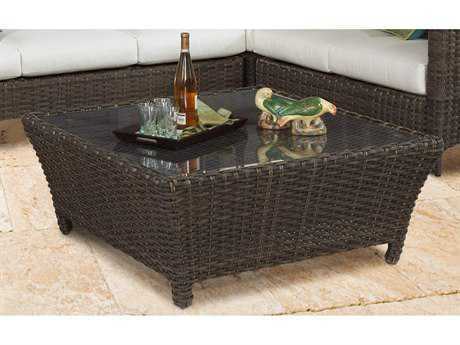 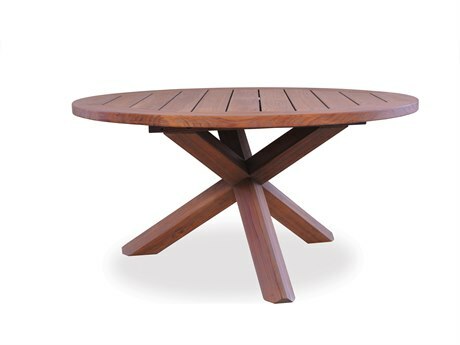 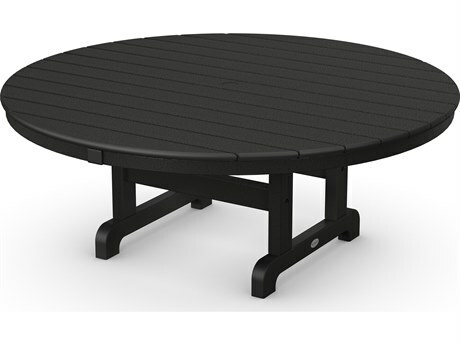 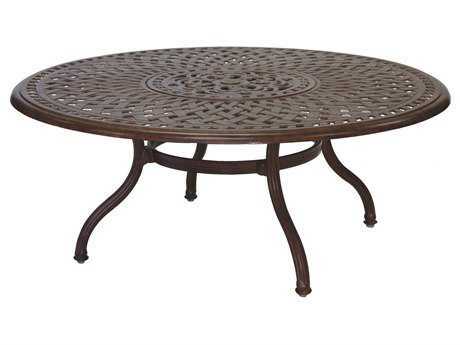 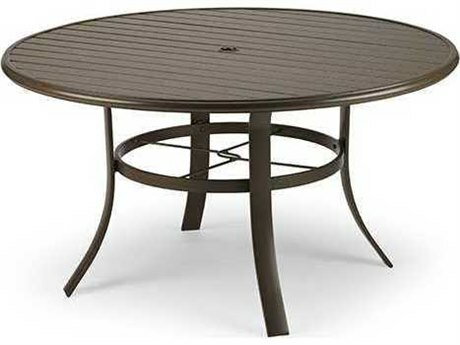 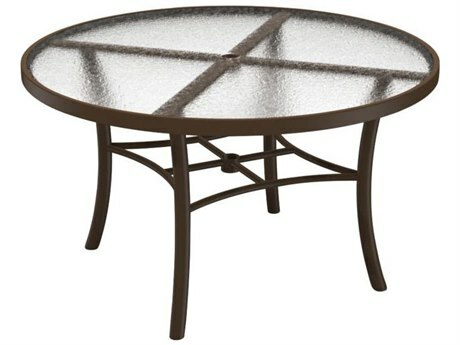 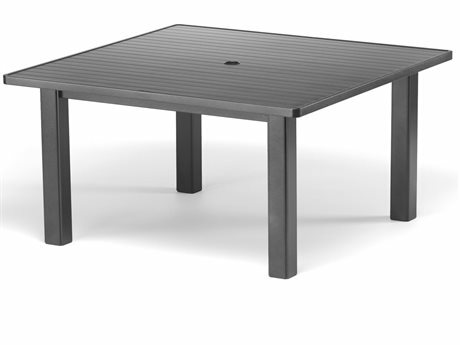 Patio chat tables feature round or square tops generally measuring between 36" to 54". 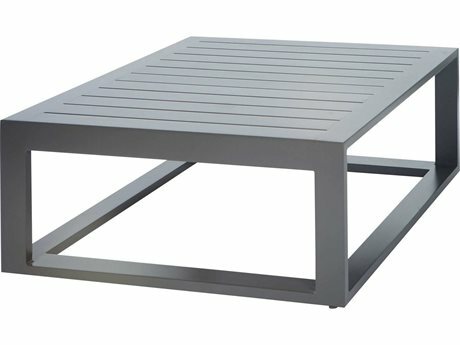 Sizable and striking, these tables contribute elements of functional usefulness and decorative flair to both commercial and residential settings. 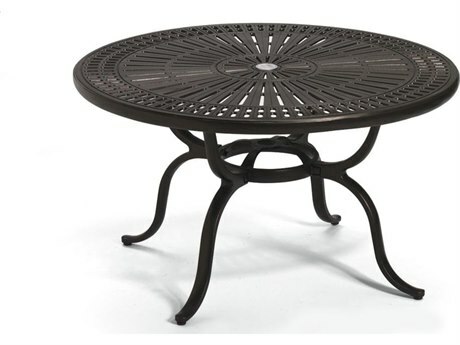 PatioLiving carries a wide variety of outdoor chat tables, with options to coordinate with any outdoor lounge set or particular furniture arrangement. 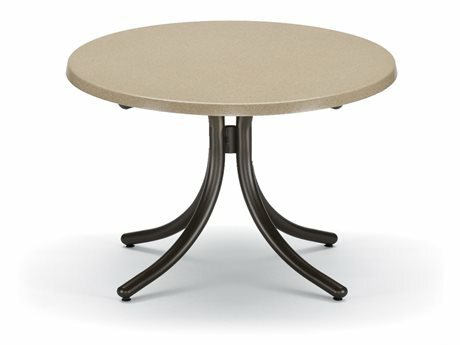 Tables are crafted from a mix of fine materials, and generally offered in several finish or color options. 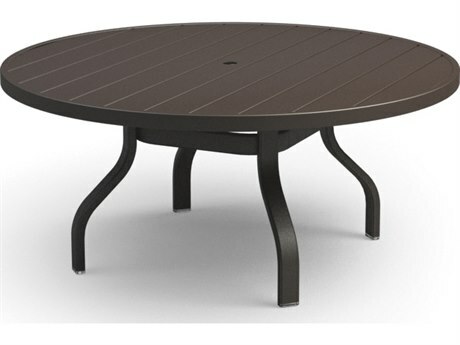 Outdoor chat tables can serve as the central anchor furnishing when styled as a part of any conversational outdoor furniture arrangement. 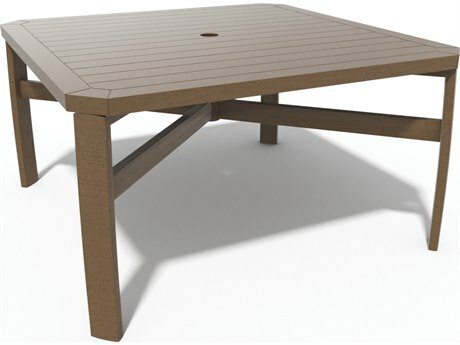 These tables measure taller than coffee tables, but shorter than dining tables, and are almost always circular or round. 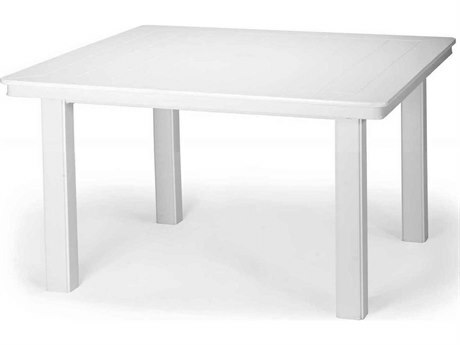 Their height makes them low enough to facilitate unobstructed and lively conversation, but also tall enough for placing food, such as platters or snacks, that can easily be reached. 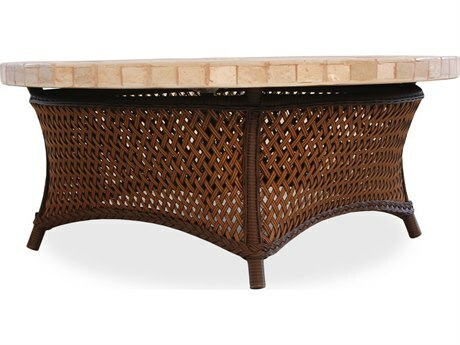 Their symmetrical shapes make for a clearly defined central furniture focal point, easy to arrange additional furnishings around to create a balanced and harmonious look. 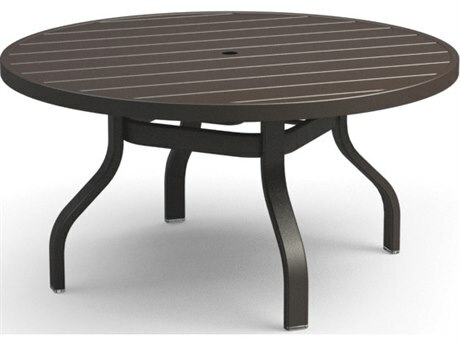 Outdoor chat tables are offered in several material styles, with cast aluminum, wicker, and recycled plastic among the most common. 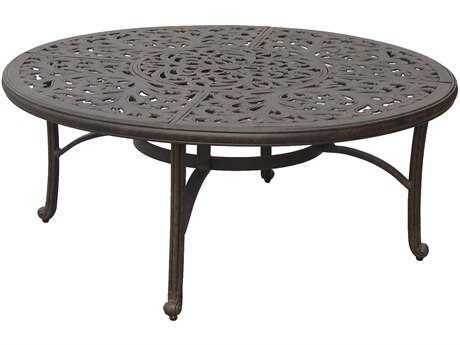 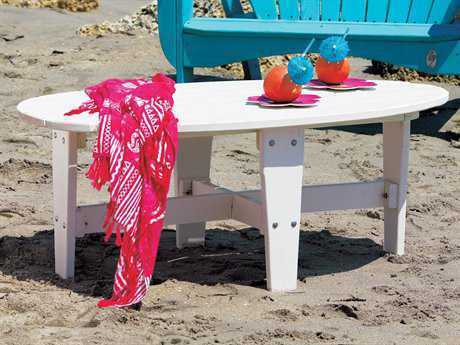 Cast aluminum tables are relatively lightweight and easy to rearrange or shift. 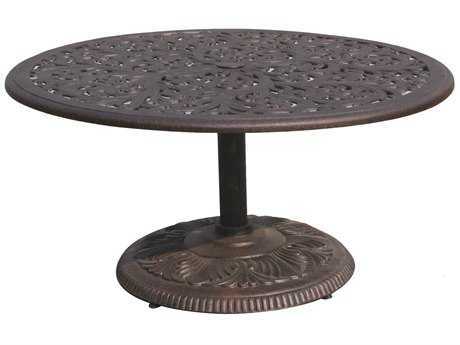 They generally feature intricate patterned cast aluminum tops or glass tops. 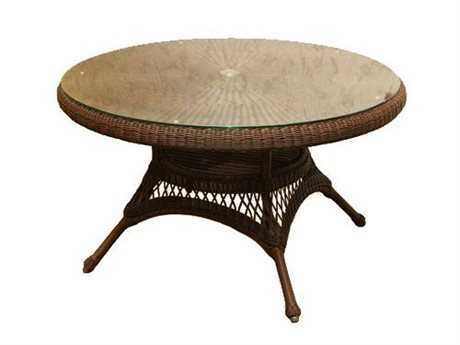 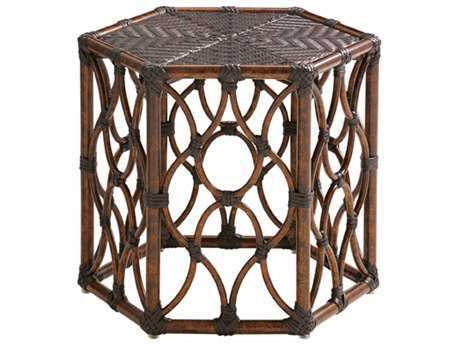 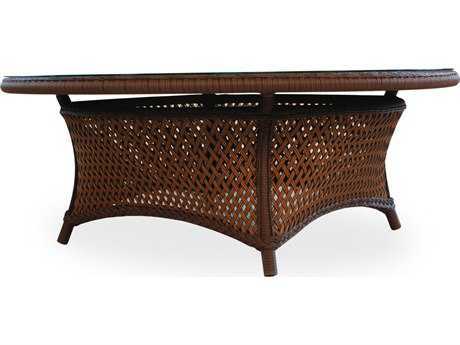 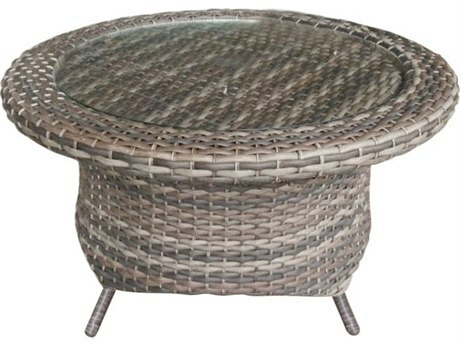 Wicker tables feature stunning woven sides and glass table tops, with umbrella hole options available. 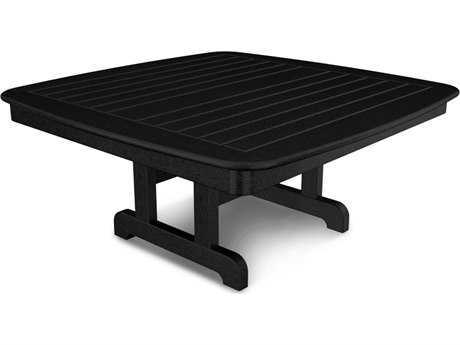 Recycled plastic tables feature sturdy construction and fade-resistant, color options for a statement-making central furnishing. 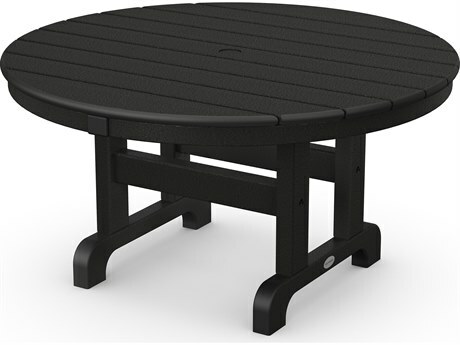 Additional functionality features found in patio chat tables include lower shelving and integrated closed cabinets, making it possible to use your chat table to store items without cluttering the table top. 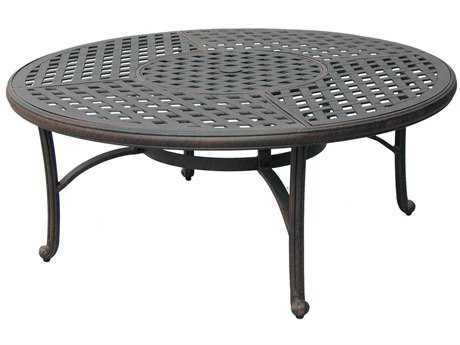 Outdoor chat tables look best when surrounded evenly on all sides with lounge seating. 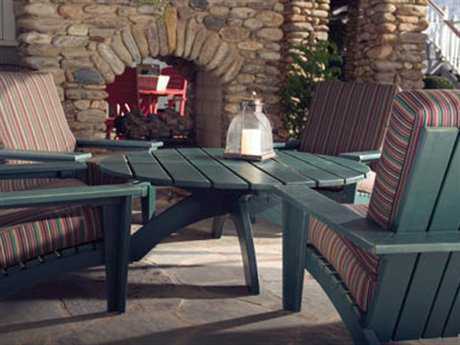 For easy decorating, pair your chat table with a coordinated lounge set for a clean and classic look. 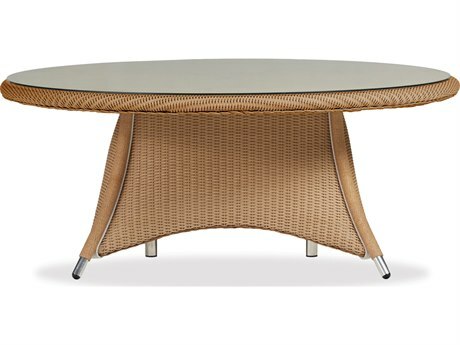 Or, select a unique mix of lounge chairs, love seats, and sofas, to pair with your chat table for a one-of-a-kind arrangement that reflects your individual aesthetic. 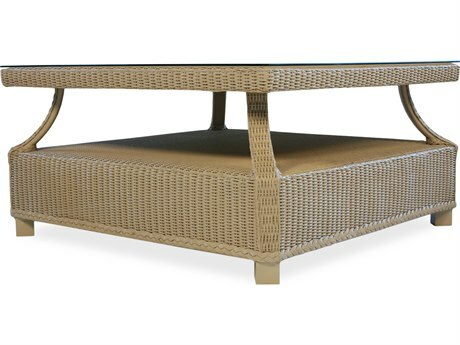 To maintain a sleek and uncluttered patio, we do not recommend adding additional ottomans or tables directly adjacent to your chat table. 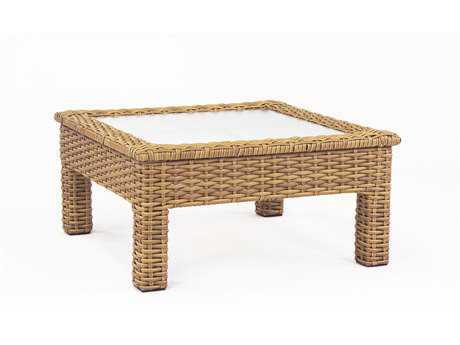 If additional table space is preferred, consider situating one or two end tables to the side of a sofa or loveseat. 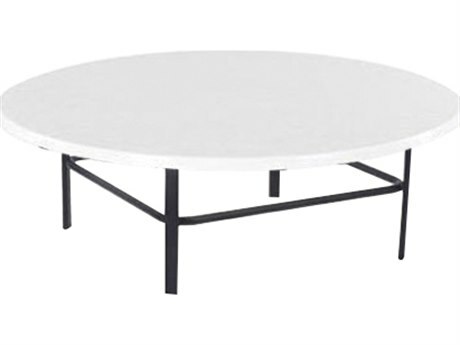 Need more style inspiration? 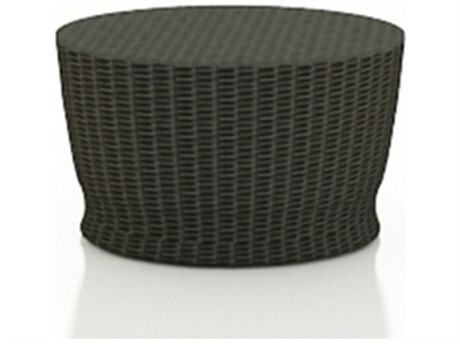 Feel free to browse our Style Studio. 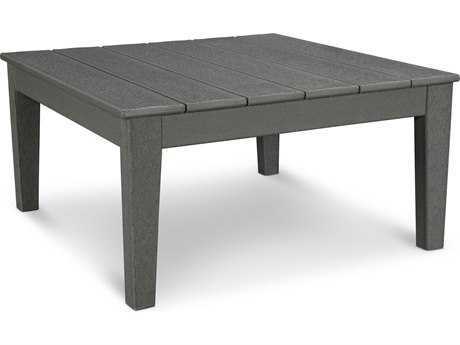 And if you need more information on the materials used to construct our outdoor chat tables, you can read our Outdoor Materials Buying Guide.